Meg's Food! 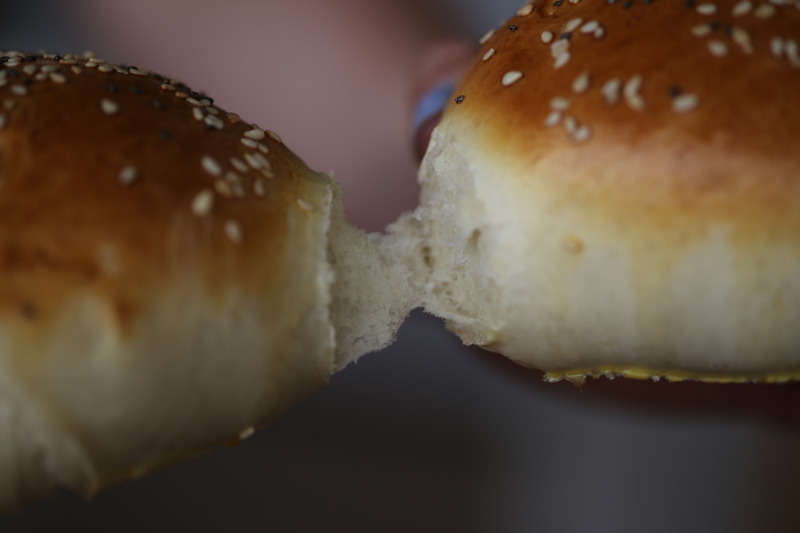 | Homemade Hamburger Buns - Meg's Food! Fresh bread is one of life’s joys. Sure you can buy burger buns at the store, but nothing quite compares to freshly baked, beautiful bread. And making your own bread is fun! 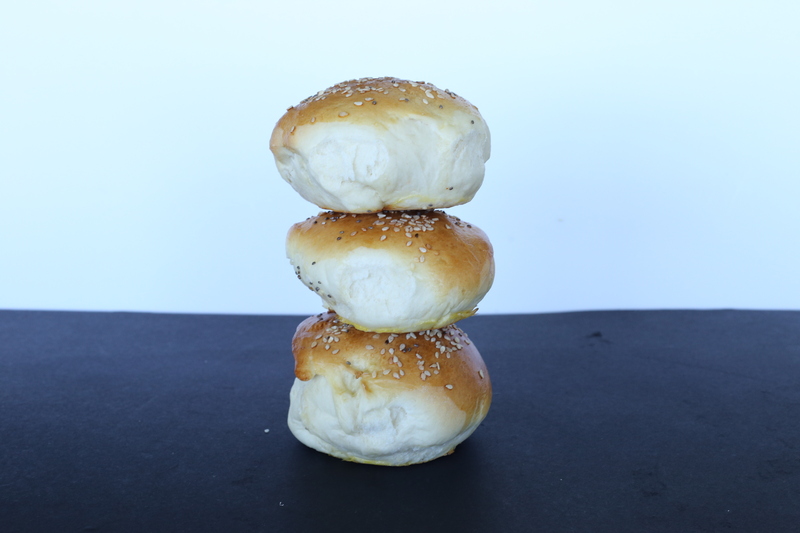 These little buns take about 4 hours to make, but most of that is hands-off, rising time. They’re pretty simple, and stand up perfectly to your next fancy veggie burger. Plus how impressive is it to pull your hamburger buns straight from the oven? Total hostess/host points. Place yeast in the bowl of your stand mixer and whisk in warm water and 1/2 cup flour. Let sit until yeast starts to get foamy and bubbly, about 10 minutes. Whisk in egg, butter, sugar, and salt. Stir in 3 cups of flour, and then transfer to your stand mixer. Beat with the dough hook 5-6 minutes until it forms a ball. Add more flour if it’s too sticky to handle. Turn out onto a floured work surface and knead a few times. Wipe out your bowl, drizzle with olive oil, and place ball of dough in bowl. Cover with plastic wrap and let rise in a warm place until doubled, 90 mins-2 hours. Punch down dough and knead a few times. Divide into 8 pieces. Roll each into a ball so that the edges are on the bottom and the top is smooth, and flatten into a disk. 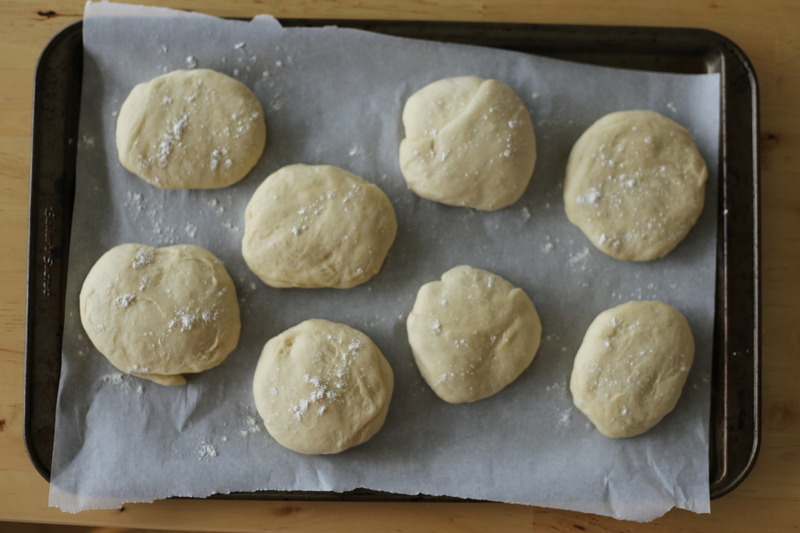 Place buns on a baking sheet lined with parchment, dust lightly with flour, and cover loosely with plastic wrap. Let rise again until doubled, about 1 hour. Whisk together egg with milk and brush gently on the tops of the buns. Sprinkle with sesame seeds and chia seeds. Bake until lightly browned on top, 15-17 minutes. They’ll stick to each other a bit at the edges. Let cool, tear apart, and slice in half crosswise to serve. Your burger deserves the best. 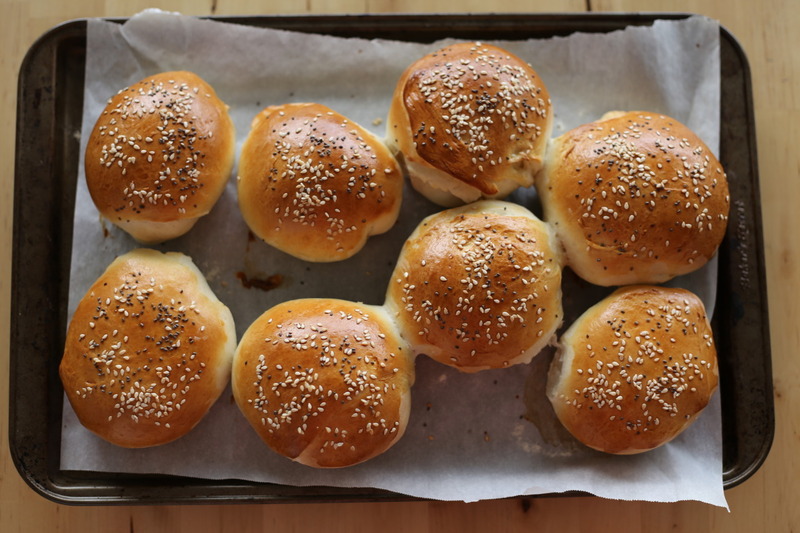 Mix it up with these beautifully fresh, homemade hamburger buns! This entry was posted in Dinner, Lunch, Recipes and tagged bread, buns, burger, hamburger. Bookmark the permalink.